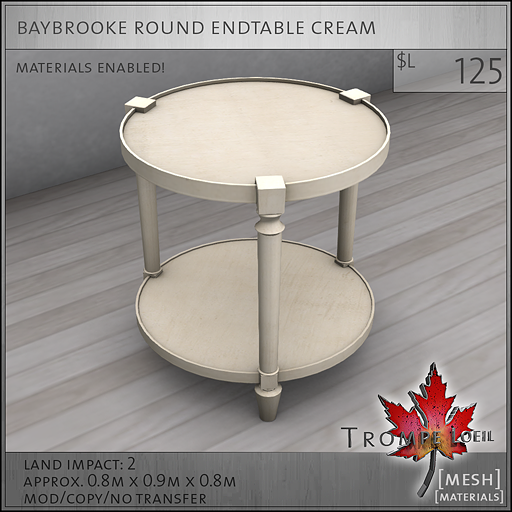 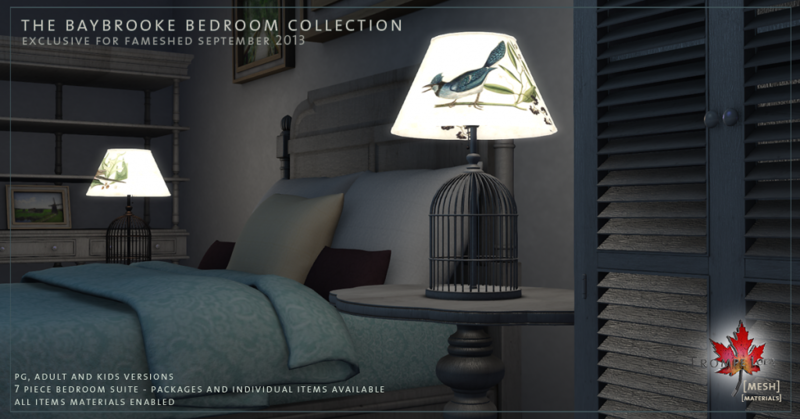 The first of the month is always FaMESHed – welcome in autumn with a fresh, materials-enabled, French country style bedroom suite for grownups and kids! 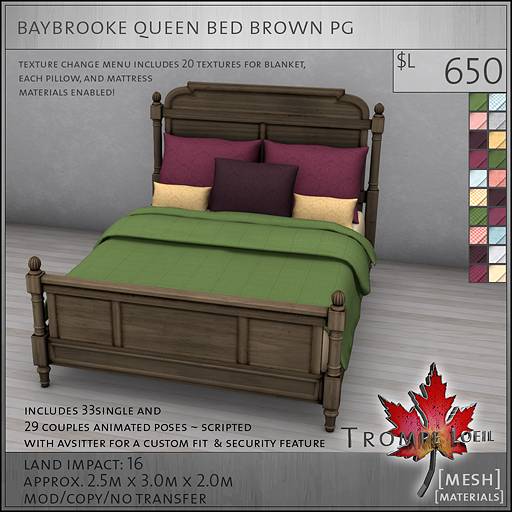 The Baybrooke Bedroom Collection features your choice of three wood finishes – cream, brown or gray – and showcases a comfy Queen size bed with lots of pillows and 20 fabric options for each pillow, blanket and mattress. 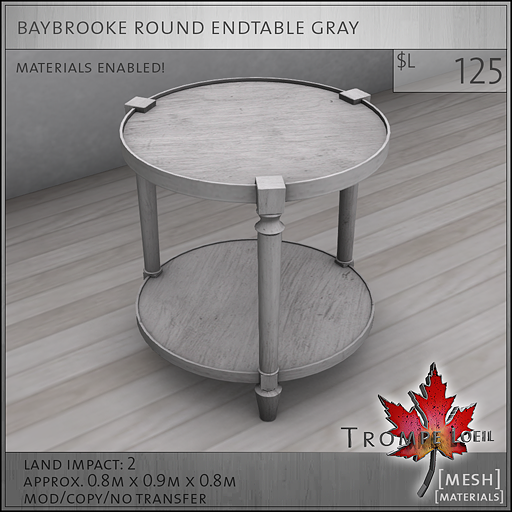 Pick your favorite maturity level for the animations, PG or Adult. 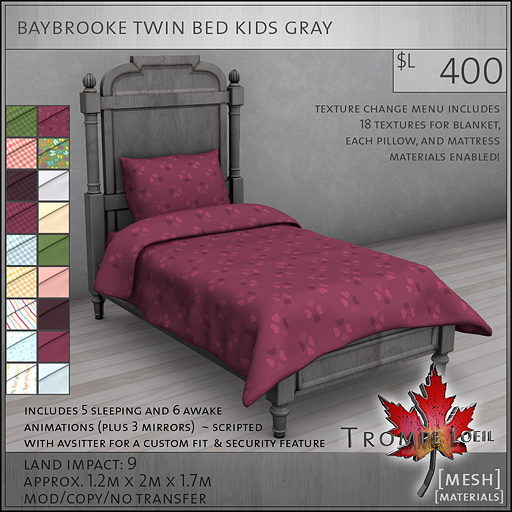 We’ve also scaled down the bed and made an adorable Twin size bed just for kids, with special textures and animations of their very own! 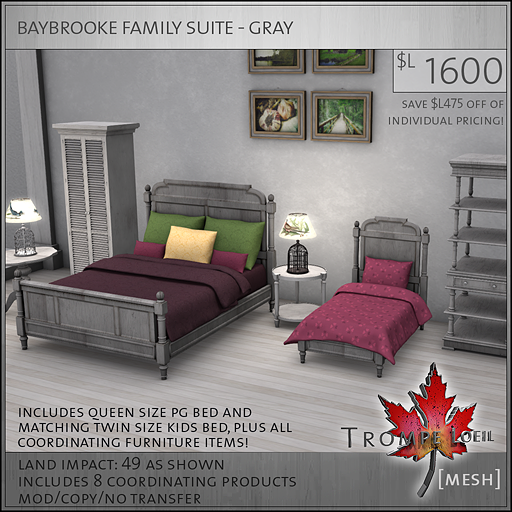 You can pick the beds up individually, or as part of the Baybrooke Suite packages – go for PG, Adult, Kids, or the Family pack which includes both the Queen PG and the Twin Kids bed, plus every other coordinating piece of the collection. 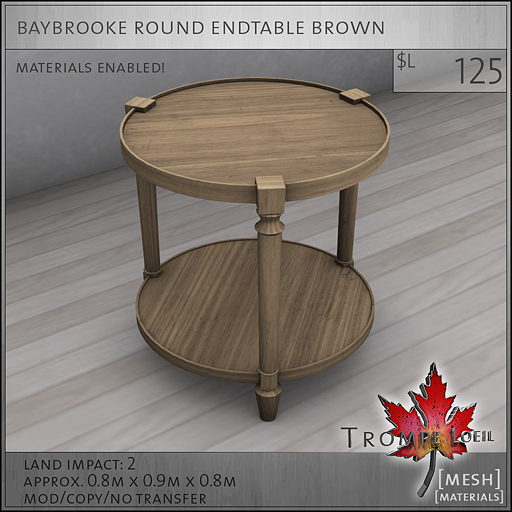 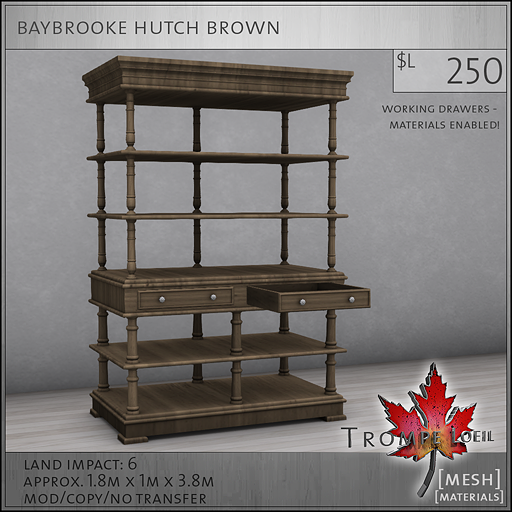 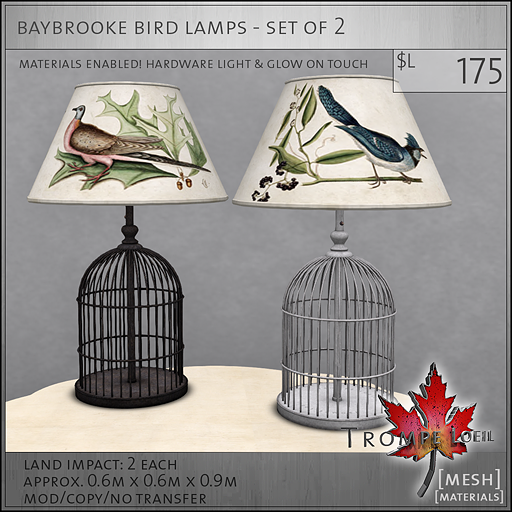 To round out the Baybrooke style we have dressers with working doors and drawers, a hutch with plenty of open shelving and two working drawers, adorable Bird Lamps with birdcage bases, two tables (a larger fancy style and a small round endtable), and framed prints for your walls. 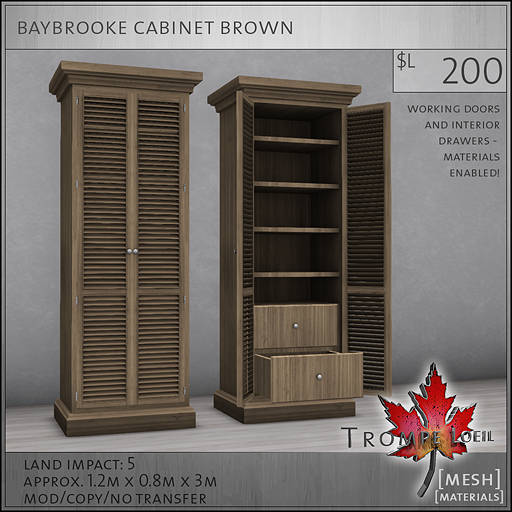 All of which are available individually in each of the three wood finishes, as well as part of the many Suite packs! 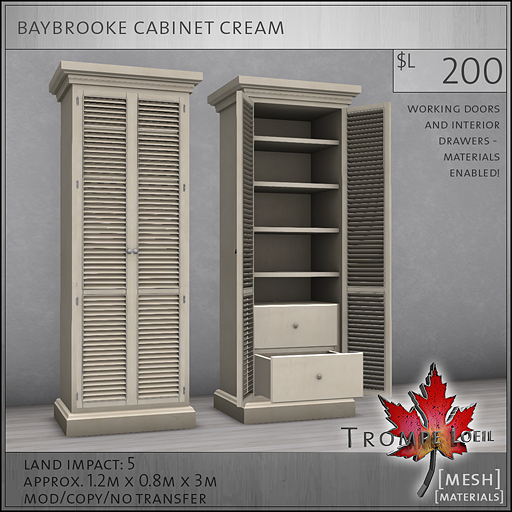 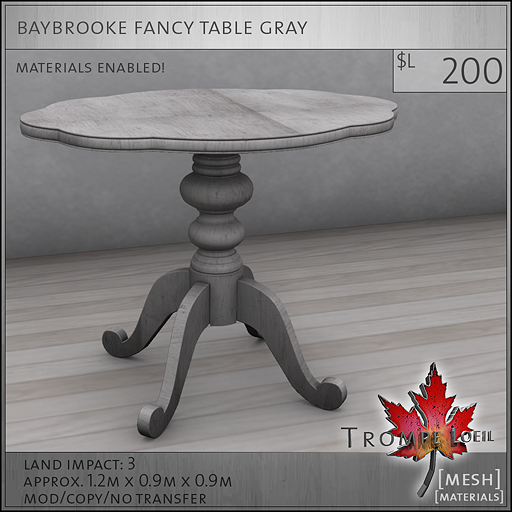 Head over to FaMESHed during September and try out the displays in person and grab your favorite items, then curl up and watch the leaves turn!